Rubber mulch’s reputation precedes it. The durable, lasting mulch is everywhere. 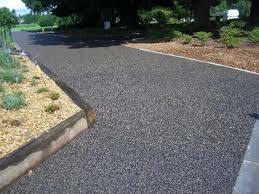 Used in playgrounds and gardens, rubber mulch is a recycled product, made from old tires. While its color lasts longer than traditional mulch and its heavy weight means it will stay in place, rubber mulch has considerable drawbacks, too. It doesn’t have the nutrient quality of organic mulch. In fact, it doesn’t have ANY nutrients at all. As a result, it will interfere with your soil’s delicate balance and it won’t provide any nutrients to help your plants and vegetables grow. It contains hazardous and toxic chemicals that do considerable damage. Once the mulch is laid down, the chemicals will leach into your soil, and destroy its health – along with damaging your plants! It can’t be tilled into your soil. That means you’ll be pulling weeds by hand. An organic product like Sweet Peet helps you to avoid these problems. While a cubic yard of organic mulch costs around $35, rubber mulch can be as much as $400 per cubic yard. Organic mulch also improves the quality of your soil, while minimizing the amount of water you have to do (that’s because the mulch helps the soil retain moisture). Using the mulch leads to a much healthier plant, one that also experiences fewer diseases and reduces insect problems. As a result of these benefits, your plants will grow much more quickly, so you can invest in less costly, smaller plants. The cost savings are clear. But in addition, a robust, organic mulch will help prohibit weeds from growing, keep moisture in the ground to boost plants, and encourage optimal plant growth. 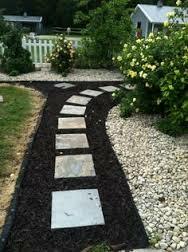 You’ll also avoid the downsides of using rubber mulch in your gardens. 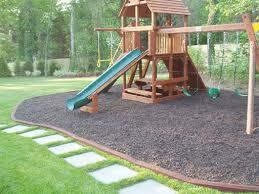 However, in some applications, rubber mulch works well – like on playgrounds and pathways.